In the largest colony in America, a meeting of the colony’s delegates was held in St. John’s church in Richmond, Viginia. Resolutions presented by Patrick Henry to put the colony “into a posture of defense…embodying, arming, and disciplining such a number of men as may be sufficient for that purpose.” Before the vote was taken, Henry delivered the speech below, imploring the delegates to vote in favor. For my part, whatever anguish of spirit it may cost, I am willing to know the whole truth — to know the worst and to provide for it. I have but one lamp by which my feet are guided; and that is the lamp of experience. I know of no way of judging of the future but by the past. And judging by the past, I wish to know what there has been in the conduct of the British ministry for the last ten years, to justify those hopes with which gentlemen have been pleased to solace themselves and the House? Is it that insidious smile with which our petition has been lately received? Trust it not, sir; it will prove a snare to your feet. Suffer not yourselves to be betrayed with a kiss. Ask yourselves how this gracious reception of our petition comports with these warlike preparations which cover our waters and darken our land. Are fleets and armies necessary to a work of love and reconciliation? Have we shown ourselves so unwilling to be reconciled that force must be called in to win back our love? Let us not deceive ourselves, sir. These are the implements of war and subjugation — the last arguments to which kings resort. I ask gentlemen, sir, what means this martial array, if its purpose be not to force us to submission? Can gentlemen assign any other possible motives for it? Has Great Britain any enemy, in this quarter of the world, to call for all this accumulation of navies and armies? Our petitions have been slighted; our remonstrances have produced additional violence and insult; our supplications have been disregarded; and we have been spurned, with contempt, from the foot of the throne. In vain, after these things, may we indulge the fond hope of peace and reconciliation. There is no longer any room for hope. 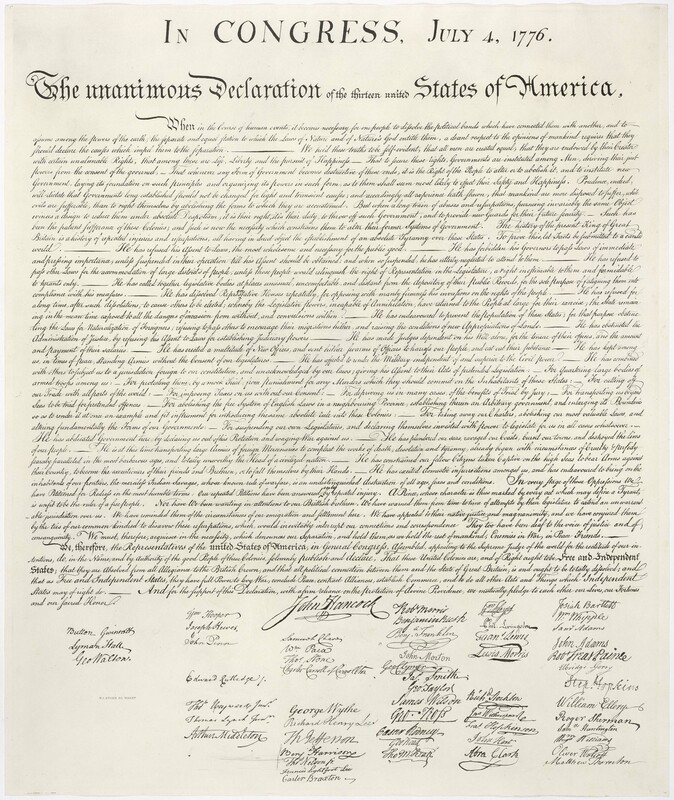 If we wish to be free — if we mean to preserve inviolate those inestimable privileges for which we have been so long contending — if we mean not basely to abandon the noble struggle in which we have been so long engaged, and which we have pledged ourselves never to abandon until the glorious object of our contest shall be obtained, we must fight! I repeat it, sir, we must fight! An appeal to arms and to the God of Hosts is all that is left us! They tell us, sir, that we are weak — unable to cope with so formidable an adversary. But when shall we be stronger? Will it be the next week, or the next year? Will it be when we are totally disarmed, and when a British guard shall be stationed in every house? Shall we gather strength by irresolution and inaction? Shall we acquire the means of effectual resistance, by lying supinely on our backs, and hugging the delusive phantom of hope, until our enemies shall have bound us hand and foot? The battle, sir, is not to the strong alone; it is to the vigilant, the active, the brave. Besides, sir, we have no election. If we were base enough to desire it, it is now too late to retire from the contest. There is no retreat but in submission and slavery! Our chains are forged! Their clanking may be heard on the plains of Boston! The war is inevitable — and let it come! I repeat it, sir, let it come! It is in vain, sir, to extenuate the matter. Gentlemen may cry, “Peace! Peace!” — but there is no peace. The war is actually begun! The next gale that sweeps from the north will bring to our ears the clash of resounding arms! Our brethren are already in the field! Why stand we here idle? What is it that gentlemen wish? What would they have? Is life so dear, or peace so sweet, as to be purchased at the price of chains and slavery? Forbid it, Almighty God! I know not what course others may take; but as for me, give me liberty, or give me death! Just what makes the Magna Carta so important that I think every American should know about it? Please if you have to ask that then … well you were asleep in class. I should let you figure it out for yourself but then again there is that chance that you wouldn’t look at it. As with any good legal document that has had a lasting effect through out history there has been some sort of precidence before it. That is true also of the document that was written in 1776 in the city Philadelphia, then the common wealth of Pennsylvania. The framers of the constitution knew that they would have a stronger case for independence if they could use another precedence to assert their case. In our countrys case it was the Magna Carta. 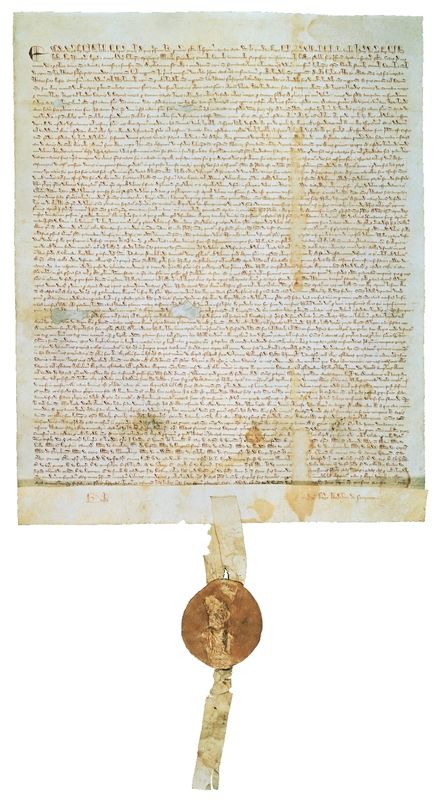 This document agreed upon by King John of England in 1215 and binding “himself and his heirs, for ever” granting the rights and liberities which is described within this charter “to all freemen of our kingdom”. Placing himself and England’s future sovereigns and magistrates within the rule of law. From its first 23 words penned in 1892 to the official version of 31 words adopted in 1954 the pledge of Allegiance is more than to just a flag it is more now about a way of life and the principles that set this country apart from many others. The original version as penned by Francis Bellamy and James Upham first appeared in the September 8, 1892 issue of “The Youth’s Companion”, and a month later more than 12 million school children recited the words for the first time in schools across the nation.